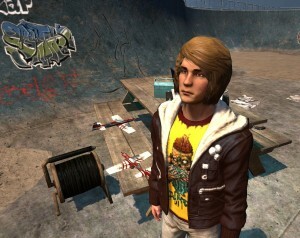 Home » Posts Tagged "Walkthrough"
Danny Dufresne is the archetypical adolescent skater boy paranoid geek. A lot of things have been happening since the fog moved into town. 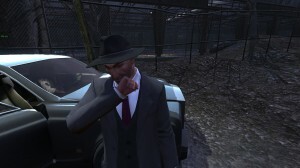 He had hoped the men in black vans had come to Kingsmouth to help the locals. But it turns out they have very much their own agenda. He’s flying his camera equipped RC planes through the area for surveillance. He might be right. Help him to understand what’s going on. The men made a suspicious arrival in black vans. Search the van parked north of the skate park. Not much of a spoiler here. There’s a marker leading you to the van. You find the remains of the van’s occupants sprawled across the nearby beach right in the middle of a cluster of draug pods. There’s an active laptop uplink in their van. Try to get access. The password hint on the laptop is: My wife. Search the nearby corpses and find the ID of one of the employees: Kitsuna Hayabusa, ID 168 8490. The message on the laptop states to not leave any occult technology behind in the field. Use the tracking device to find the technology. You’ll find a smaller device next to the laptop. That’s your tracking device. 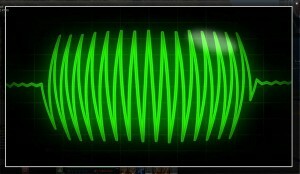 Use it and let the pulse guide you to the Occult Attractor. For the impatient: There’s a water inlet straight east of the van, that’s where you’ll find it. The attractor has been dragged into the low tidal waters and does what it’s supposed to do: attracting occult creatures. Deactivate it, following the procedure described on the laptop. Assume minimum save distance before power up. Disassemble in reverse order to avoid etheric spikes and possible unwanted attention. Completing Step 3 will give you an update about the device being active and asking you now to deactivate it. Do so by repeating step 3, then step 2. A recommendation for this tier: If there are multiple people trying to solve this mission at once, group up, or make at least sure, that only one player operate the attractor at a time. 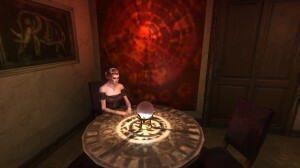 Madame Rogêt is the local floozy, who’s also a fortune teller. Of course, her occupation doesn’t make her a well liked person in town. When the fog arrived she heard the voice calling her to the sea, but she was tied to the bed in handcuffs. Her visitor, the mayor wasn’t as lucky and followed the call “In his boxers. With the keys to the handcuffs”. She’s having visions ever since. Here’s the one she asks you to help her resolving it. Find the locations of five of Madame Rogêt’s visions. Her first vision says: On the tip of the pyramid, your path shall be revealed. Look at the SE sector of your map. The second vision: Shadows, long shadows from the old boughs of the fairy forest, the flickering lights of the foolish fire guiding your path. “Come, come!” they beckon. There’s something that fits the description in the SW sector of the map: A gnarly old tree with long shadows in the Wispwoods. Madame Rogêt’s next vision: There’s bees, the incessant buzzing of bees, and flowers – flowers blooming out of season – to mark the path ahead. You did pass a small swarm of bees when you entered the zone. This is the fourth vision: I see an angel, guarding hallowed ground, sword in hand to ward off evil and guide the way. Have you seen the local graveyard, yet? There’s a statue in it’s center. In case you forgot, the graveyard is right behind the church. The final vision: The cold, dead eyes of the innocent stare at you from the gallows, their blank gaze a mirror to the past… and the future. There are a few clues around for this location plus some historic knowledge: The condemned of the time were often hanged from bridges. There’s actually a bridge north of town with a plaque calling it the Hangman’s Bridge. Should you have crossed that bridge while dead, you would have seen some condemned hanging there, as well as a spooking ghost. Find and destroy the source of darkness. Run halfway onto the bridge and kill a ghost who’ll attack you. As an aside, in Madame Rogêt’s room, you’ll also find the quest “The Occultist’s Cookbook”, which will give you a very quick into into tradeskills. Reverend Henry Hawthorne claims to be a hobbyist member of the Illuminati, if there is such a thing. He has done research on the internet and found secret codes leading him to message boards, hidden from Google. He’s a frequent poster there. 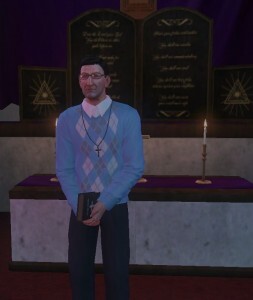 He asks you to follow the signs of the Illuminati and to decipher the Kingsmouth code. God bless the internet. Knowledge is power, especially with Google on your side. There’s a manhole cover just in front of the church. take note of the inscription. If you run a straight line in the direction of the tip of the pyramid, you’ll find a plague on the ground behind a shack in the harbor, near the anchor spot of the Lady Margaret. Find the next hidden location. In City Hall you’ll find numerous paintings on the wall, some with messages on their back. Most of them will send you to pretty obvious places within town, like the gas station or the fire station. Try to find the right painting before you touch any, otherwise you’ll actually have to visit these places before you are given another chance to look at a painting. One of them is “The Navigator” by Frans Hals. There is an inscription that talks about time, Kings and God. Check the clock above the doorway. 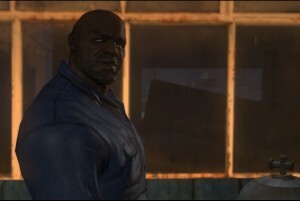 During the cut scene for this mission, Solomon Priest was mentioned. Behind his home you’ll find the entry to a cellar, protected by a keypad. No secrets here. You are done. And remember to heed Reverend Hawthorne’s advice: Google’s on your side. 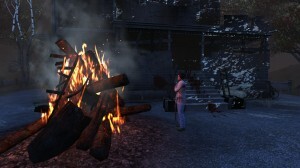 I just finished one of the more difficult investigation missions in “The Secret World”. It made me pause a couple of times and lead to a good deal of head scratching. And using the game’s secret sauce “Google”. 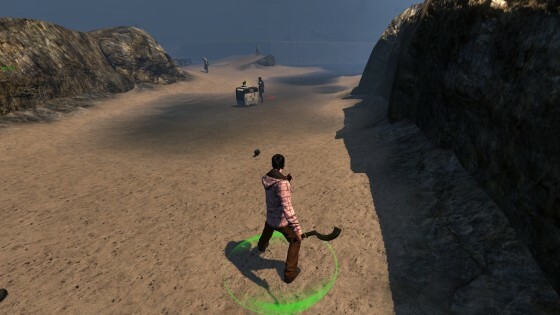 The Secret World has a built in browser and they expect you to use it, even to look up their puzzles directly, or just to research some of the riddles. Find more information about the murder, perhaps in a newspaper. There’s an archive at City Hall. The sheriff’s office held back more information on the case. Check the computer at the sheriff’s station. The suspect killed himself in his cell. Find a way to get inside the cell and examine it. No key, no keypad, no saw or cutting torch. Go kill yourself. Find the message on the wall. There’s a message inside the cell, find out its meaning. 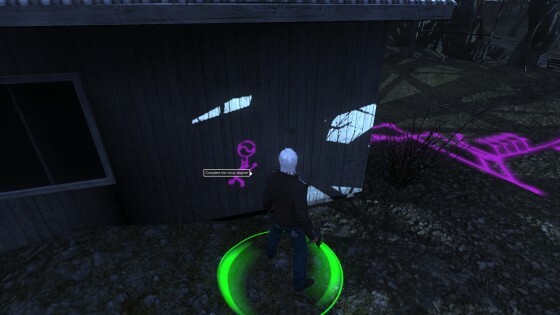 Follow the white raven while still in anima form. It will lead to a group of ravens reciting a nursery rime. Release four of them in the order given by the message in the cell. Watch out when trying to do the final step in sequence. You share the quest area with others. If other players click things in different places, your sequence gets messed up. Coordinate with other players in the area. And this sets the atmosphere of the secret world. Somebody mentioned in chat: “There are no puzzles in MMO’s”. Not until now, not in this form and not that many of them. I know Dungeons & Dragons Online has some and you might even call the platform jumping in SWTOR a puzzle. By myself, I’m not the greatest puzzle solver, but I just like the whole ambiance of the game. 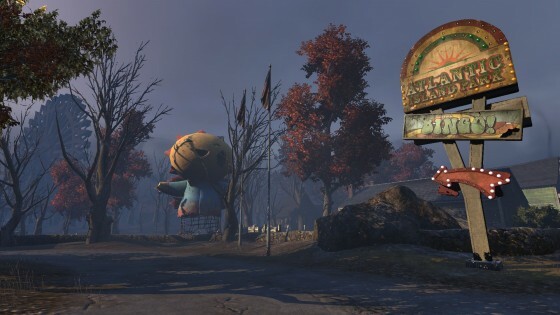 I could have left the Kingsmouth area for the next zone a good while ago, but those investigations will keep me here.